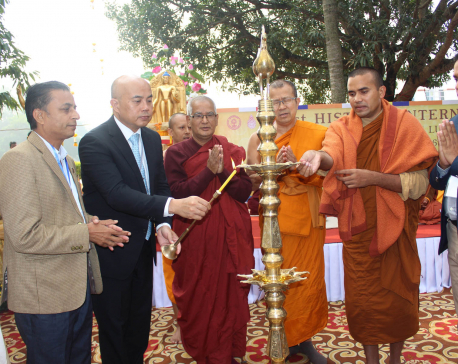 BUTWAL Nov 9: A three-day Tripitaka recitation programme is taking place in Lumbini, the birthplace of Gautam Buddha, from November 14. The Maya Devi Temple on the premises of Lumbini is being decorated in view of the programme, the Lumbini Development Trust said. The Trust has decided to provide a free entry for those vikkhus participating in the event and make arrangements for an easy movement of Buddhist followers wishing to attend it. The programme has been scheduled on November 14-16 on the premises of Maya Devi Temple. 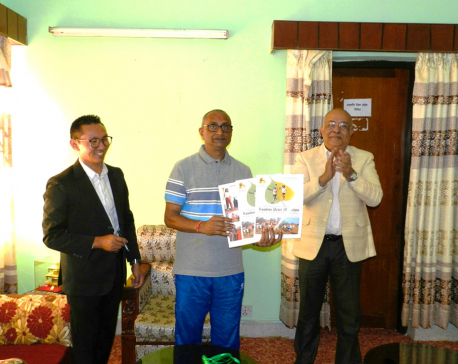 It is going to be held on the joint initiations of All Nepal Bhikkhu Association; American Buddhist Association; Thai Buddha Vihar and the Trust, will be attended by 700 vikkhus, Lamas, Aanni and votaries from 18 countries, according to Trust member secretary Saroj Bhattarai. The event is estimated to cost Rs 3.5 million.